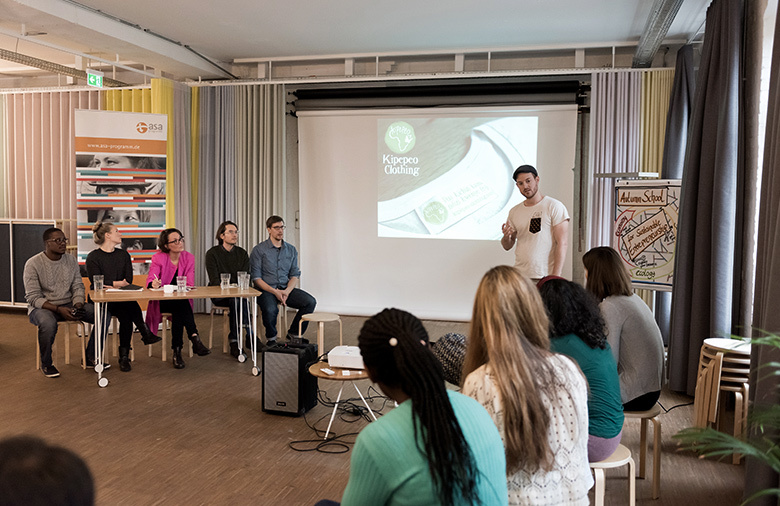 Establishing global partnerships, generating new ideas together and improving technical skills for sustainable entrepreneurship were the focus of the Autumn School for Sustainable Entrepreneurship in 2016, 2017 and 2018. Have you ever imagined what you can possibly get when you bring a young Cameroonian developing secure GSM mobile application for farmers’ cooperatives to a workspace with a German computer engineer who is building a fascinating technology that gives hearing impaired people additional information from audio systems, and a software engineer providing e-bikes as a clean and affordable means of transport in Namibia? - Don’t think further! 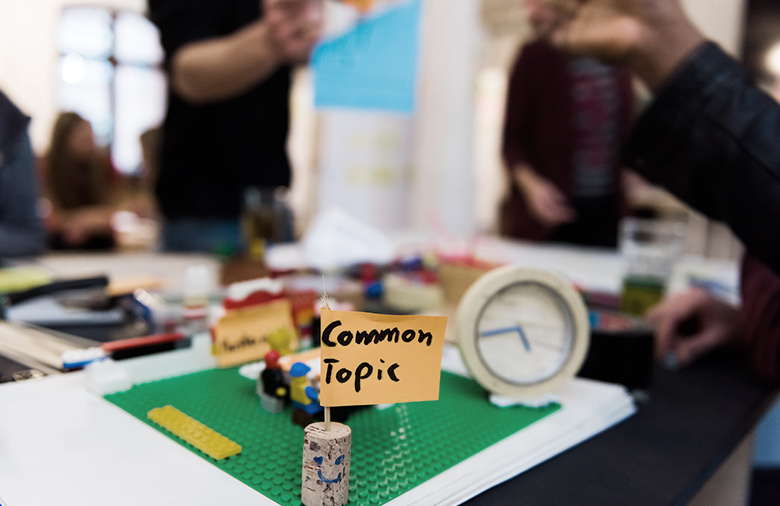 You get a community of creative disruptors at the Autumn School for Sustainable Entrepreneurship 2018 in Stuttgart. 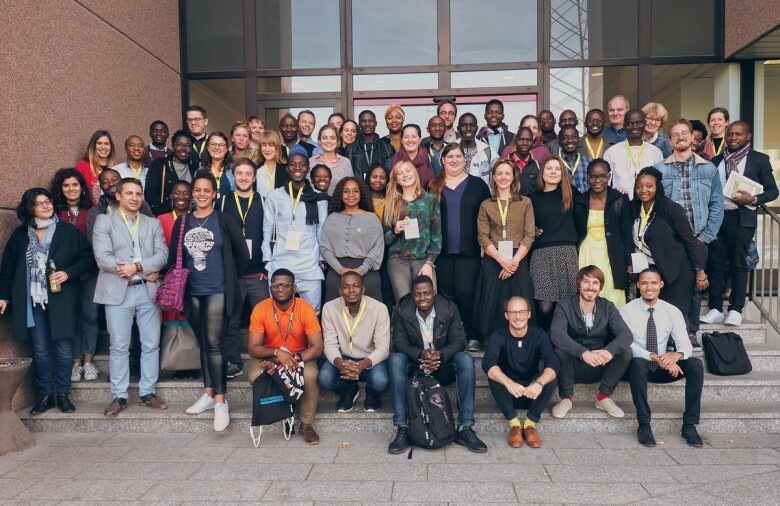 The Autumn School for Sustainable Entrepreneurship 2018 brought together twenty two young changemakers from the African continent and Germany with a focus on digitalisation for a sustainable economy. 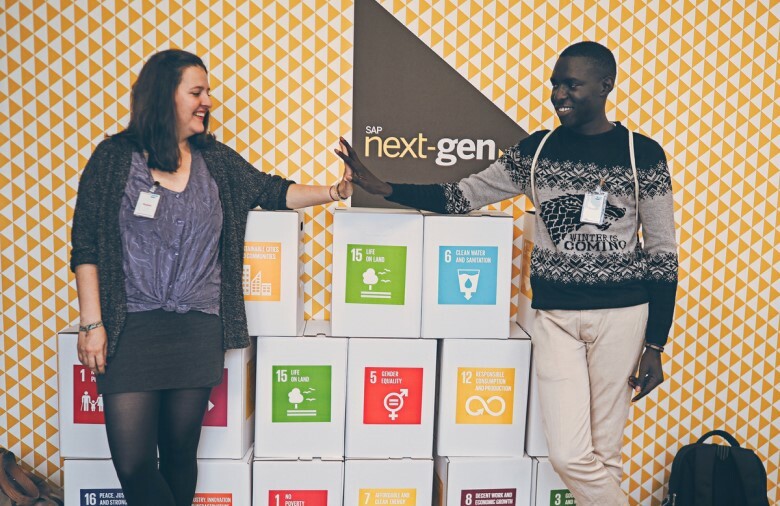 Being considered as one of the greatest challenges and opportunities of our time, the global digital shift has not only redefined the way we do things, but has also proven itself most pivotal in terms of breaking traditional boundaries in access to education, building a new economy order and enabling wide adoption of climate smart solutions, to mention a few. 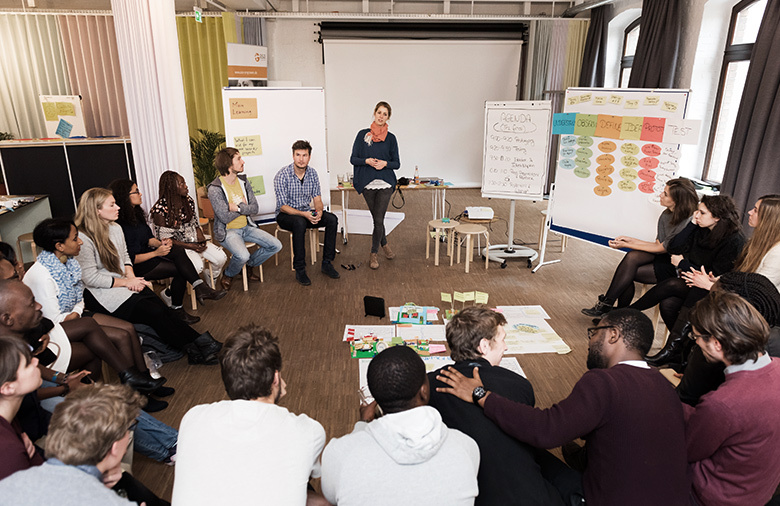 The Autumn School 2018 format ensured the best use of four reputable networks organised by the ASA Programme in co-operation with the Baden-Wurttemberg Foundation for Development Cooperation and Social Impact Lab Stuttgart. 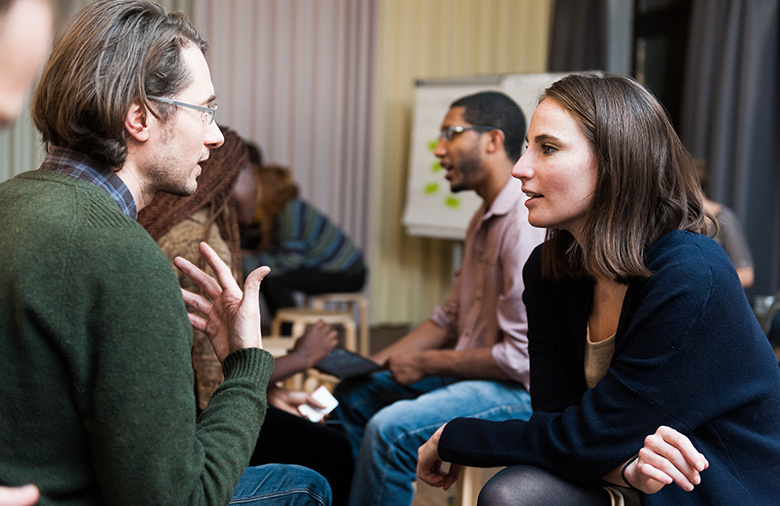 Prior to the physical meeting, the Autumn School 2018 participants benefited from a robust virtual peer-to-peer coaching, during which selected Autumn School alumni with expertise in digitalisation and/or social entrepreneurship assisted participants in developing solutions to specific day-to-day business challenges they are currently facing. Beyond the virtual interactions behind their computer screens in the early phase of the Autumn School, participants and coaches had the opportunity to meet in person in Stuttgart. 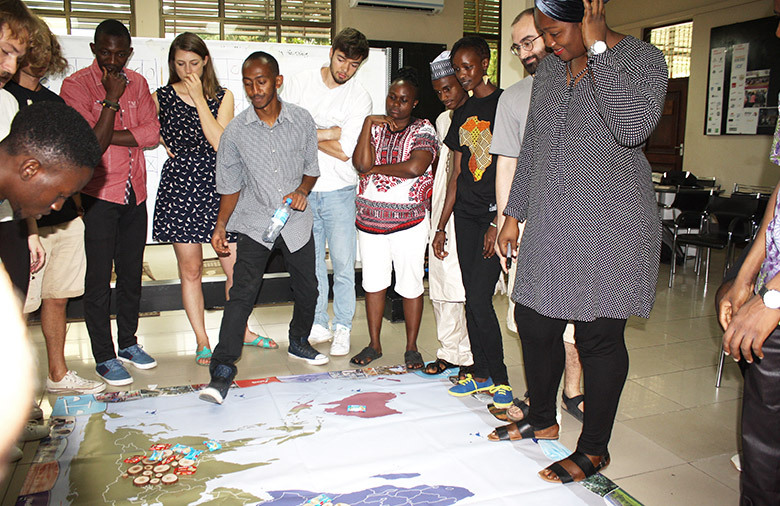 Driven by the vision of a transition towards a sustainable global economy, the participants shared locally acquired best practices with each other through various components of the programme. 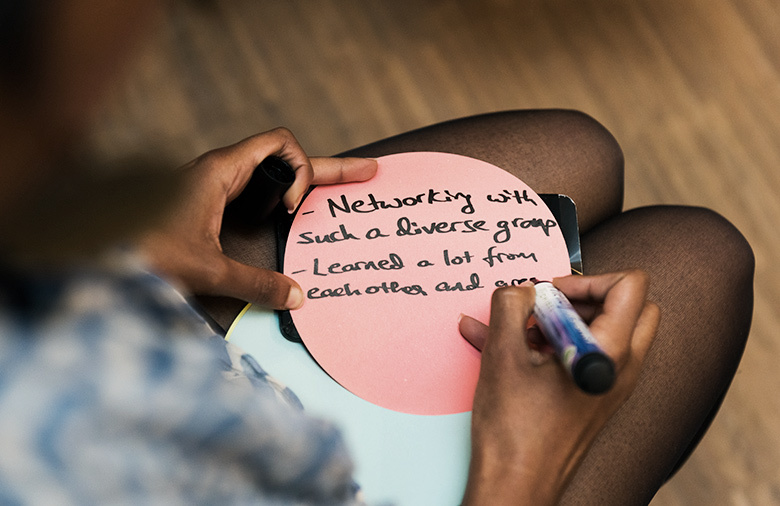 These included but were not limited to global learning games, thematic roundtables, parallel workshops, pitch sessions, a field visit to SAP Headquarters in Walldorf, a city tour around Stuttgart, and a workshop organised by the alumni network. 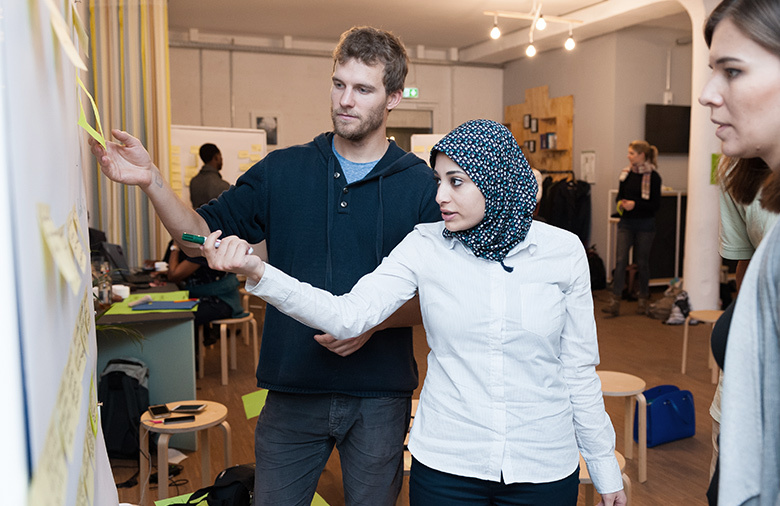 One major highlight concluding the Autumn School 2018 was the participation at the ASA Kaleidoskop which took place at the CODE_n Spaces, Stuttgart. 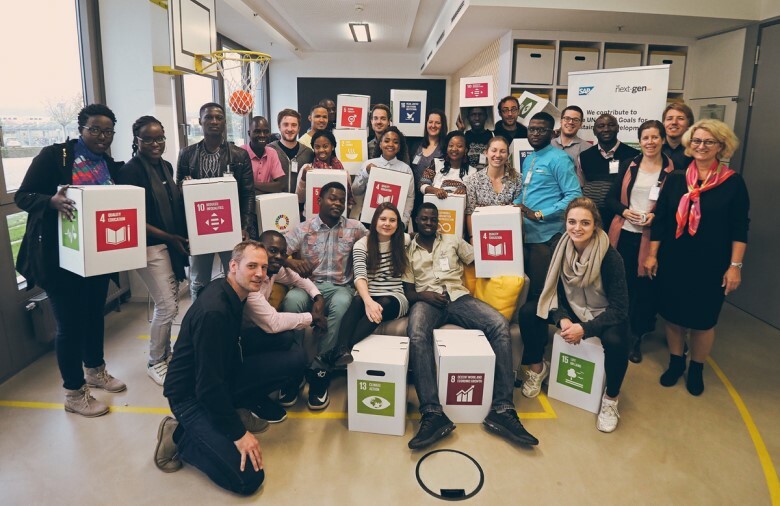 With a focus on the impact of digitalisation on sustainable development, the Autumn School participants and alumni exchanged their stories, ideas and experiences with a larger audience of stakeholders from sectors ranging from business to politics to civil groups from African countries and Germany. 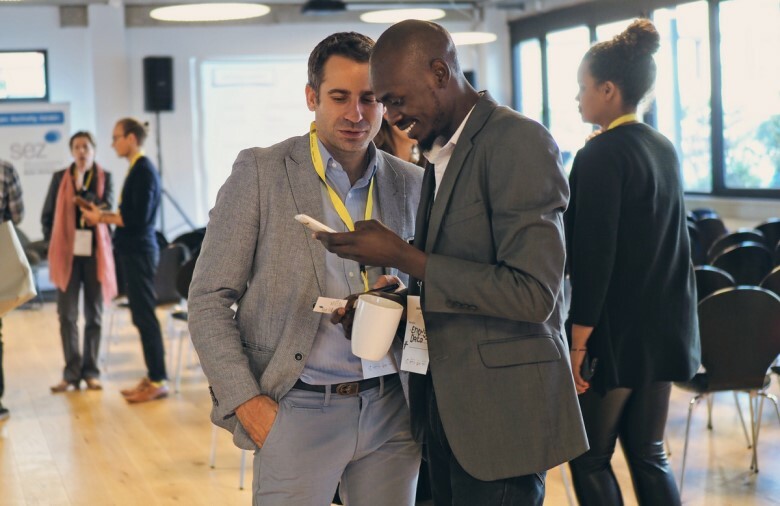 The Kaleidoskop is the annually held ASA multi-stakeholder networking event with topics regarding sustainable economies and business. Want to change the world? You would have to dare to make changes in your life priorities. You have to be brave enough to stay at the edge of your comfort zone and commit for this long adventure. Don’t forget to live the best you can and try to have some fun along the way. 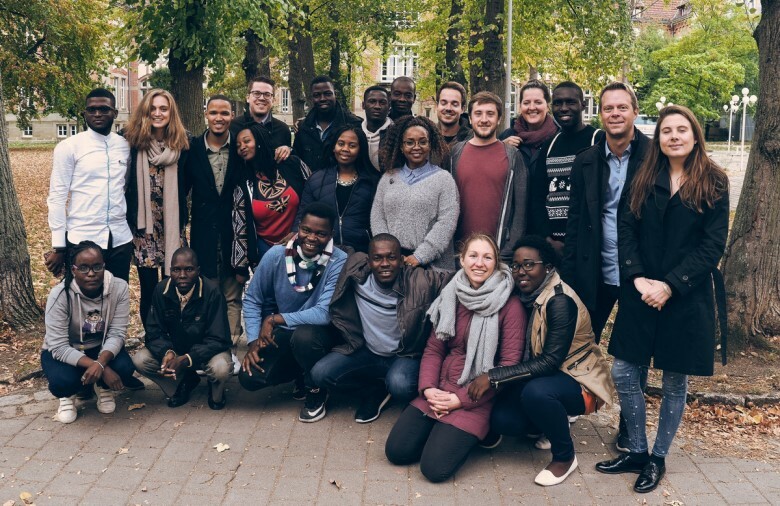 The Participants of the Autumn School for Sustainable Entrepreneurship 2018 in Stuttgart, Germany. Pitching coach Sebastian Donath guiding participant Doreen Mushi, founder of Tusome Innovations, through her pitch canvas. 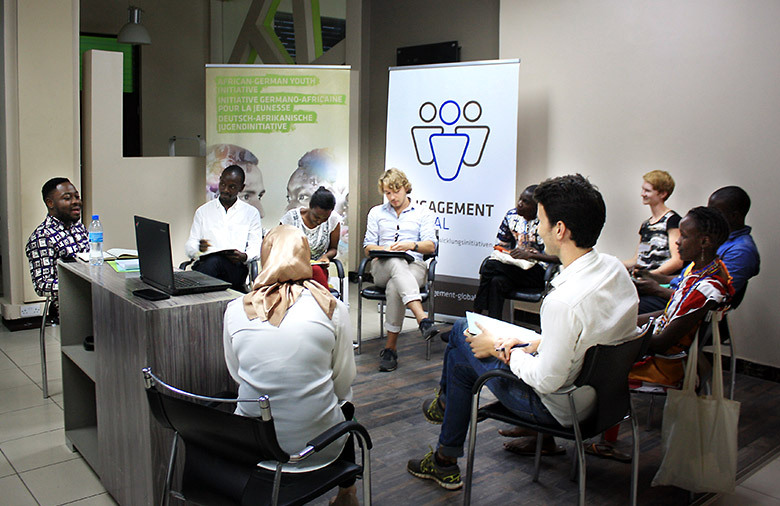 After a short expert input by financial coach Andreas, participants map out and discuss their own financial strategies. 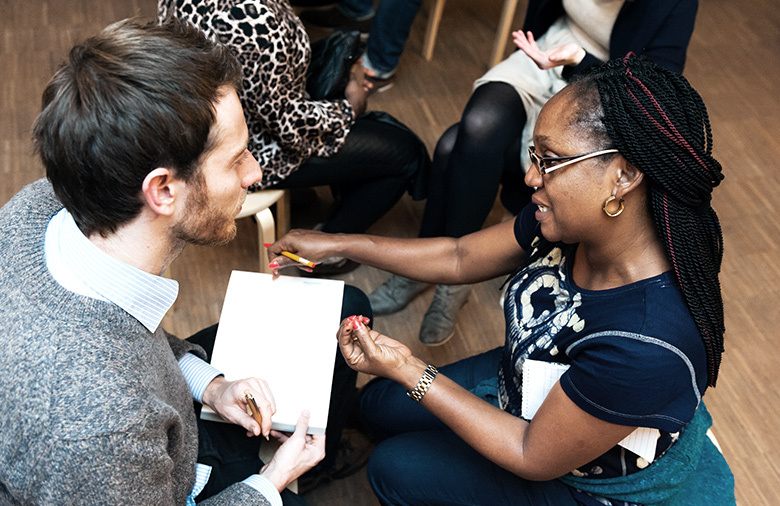 Miléva from Cameroon structuring an abundance of thoughts to keep her storyline simple. 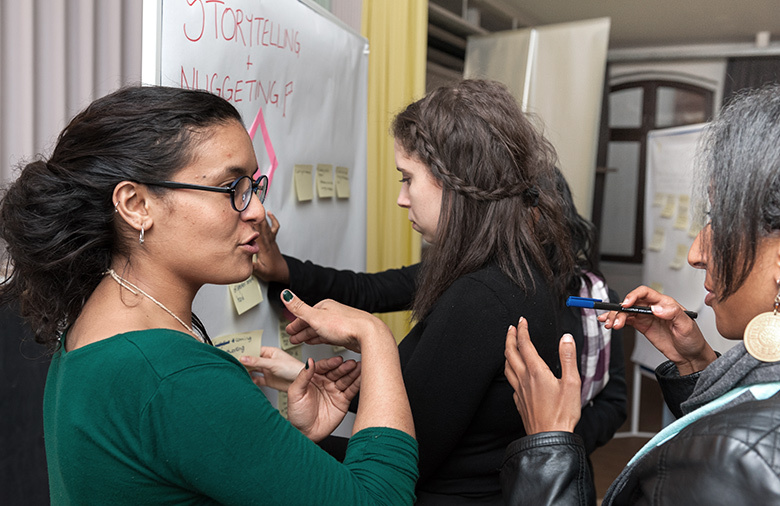 With a week programme full of peer-to-peer sessions, workshops, and exercises, the informal bits are worth just as much. Meet Tim Schlippe, founder of Silicon Surfer and participant of the Autumn School 2018. 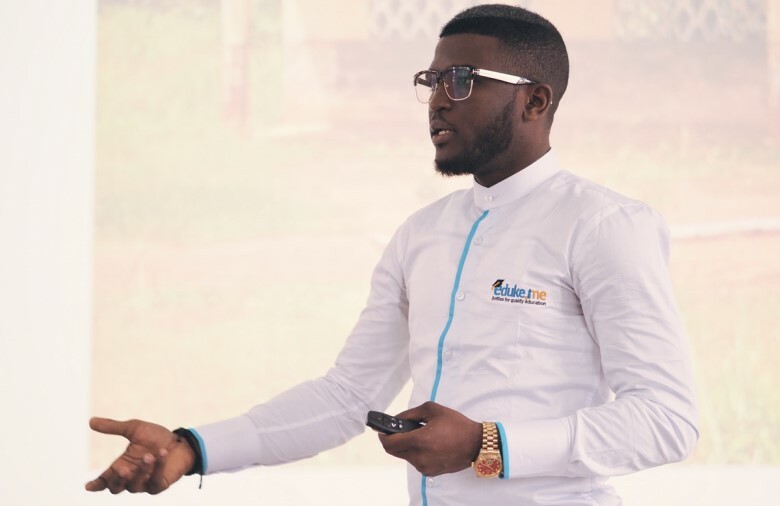 Gatien presenting eduke.me – a social youth-led company that wishes to put in place a large-scale chain of low-cost private and ecological schools built out of plastic bottles and non-organic waste. Jury members from the SEZ, Social Impact Lab Stuttgart and the Alumni Network listen to participant pitches and give feedback thereafter. 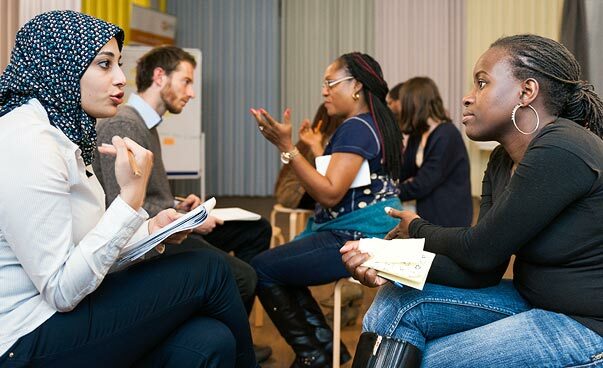 In deep conversation with Oladunni Stähler from Women in Tech Africa. 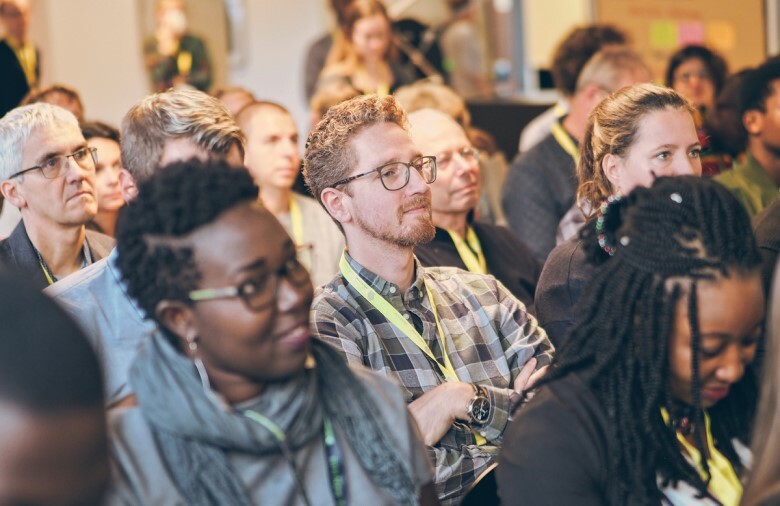 The ASA Kaleidoskop constitutes the last day of the Autumn School and is the ASA Programme’s annual networking event with focus on Sustainable Business. 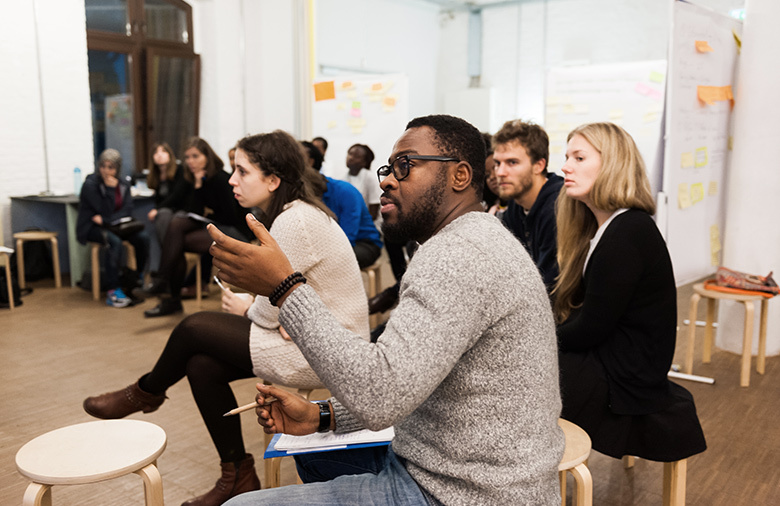 During the ASA Kaleidoskop participants get the chance to present their social enterprises to a wider audience. 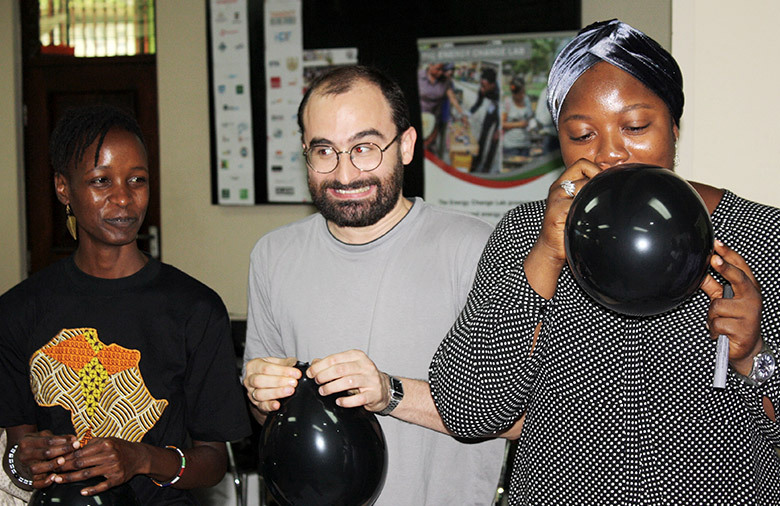 Philipp Keil, CEO of the SEZ, and Autumn School almunnus Justine Abuga exchange ideas and contacts. 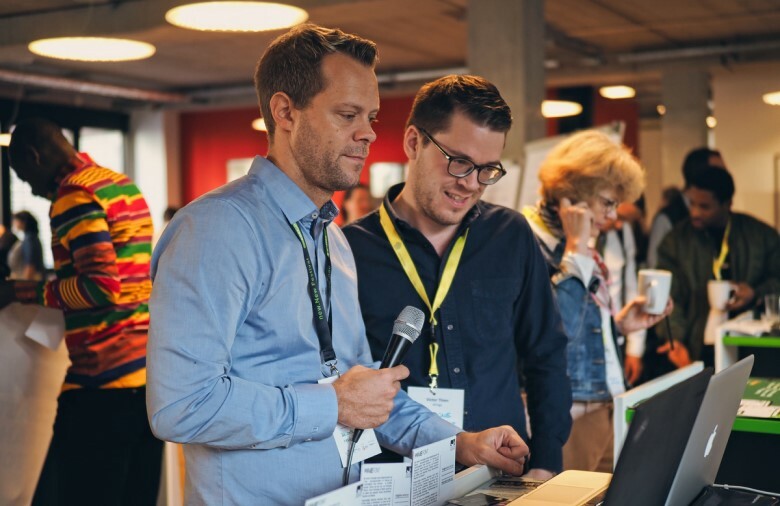 Next to an inspiring keynote, lively input and impulse sessions, and a top-notch panel discussion, the Kaleidoskop marketplace invites participants to showcase their products. In the best of spirits even after a long and fruitful day. A great ending to a wonderful week! 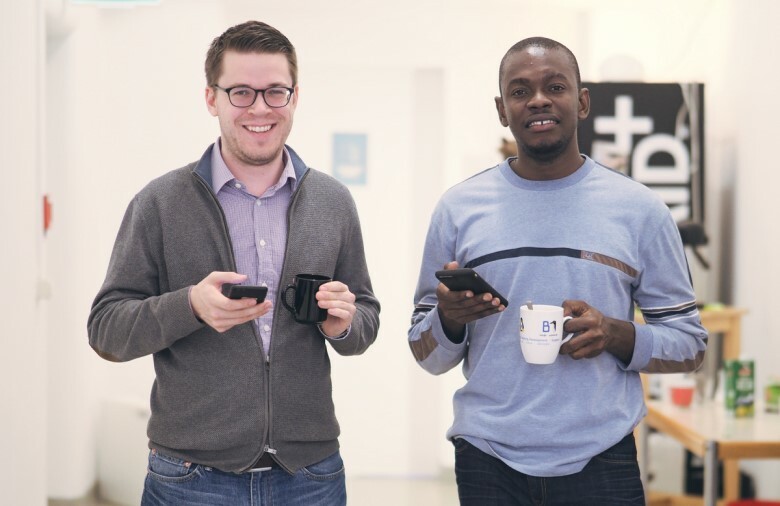 An app that offers redeemable points in exchange for recyclable waste in Kenya. An eco-café in Tunis. A resource and energy efficiency consultancy in Kiel. 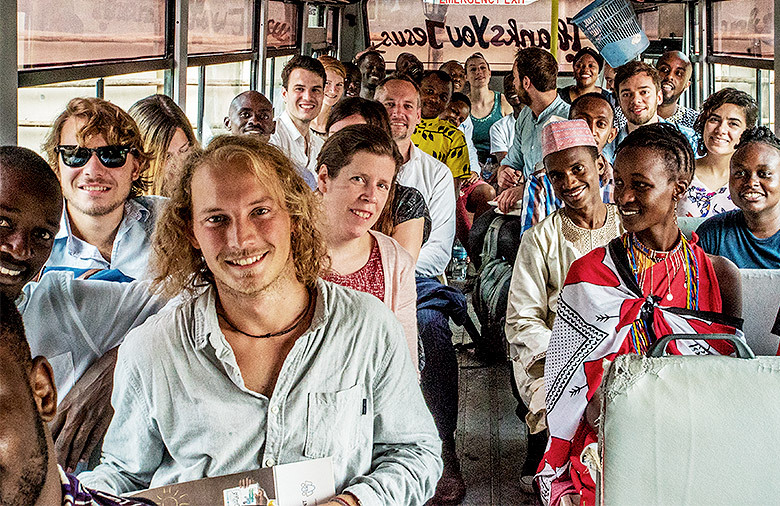 A micro-investment platform for local organic honey-keepers in Ethiopia. A climate insurance initiative protecting farmers in Benin against climate change impacts. 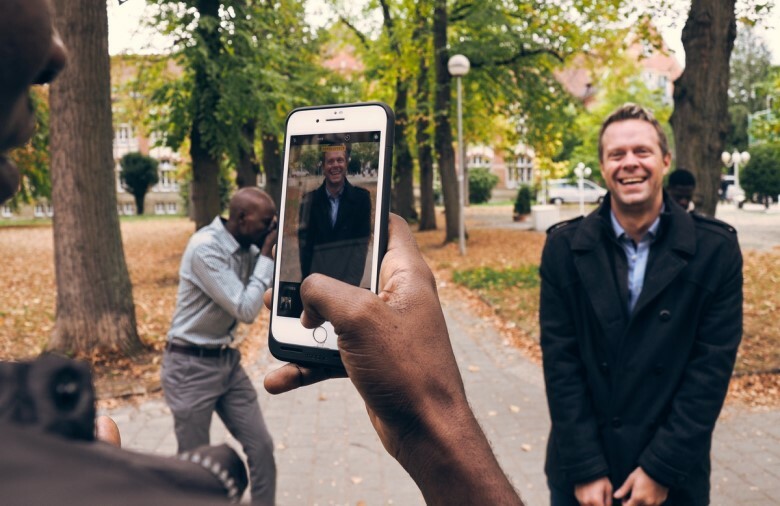 A mobile application that allows people in Germany to experience the advantages of sufficient and sustainable consumption. 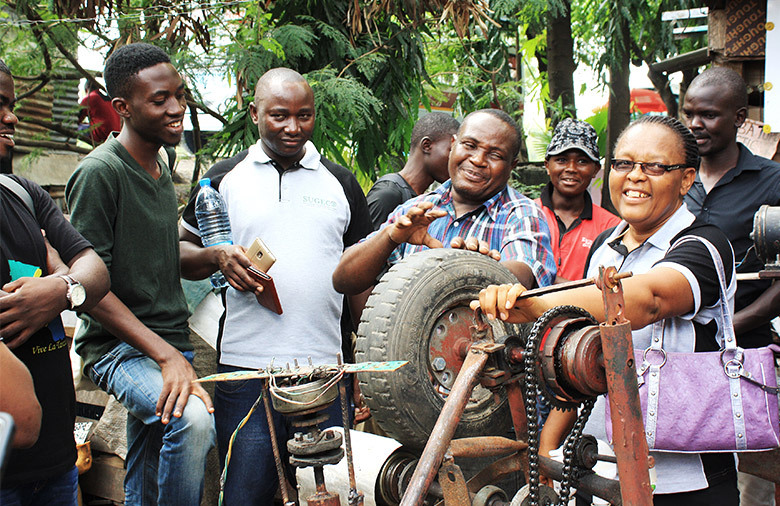 A biogas digester that converts agricultural and communal waste into electricity for off-grid farming communities in Nigeria... 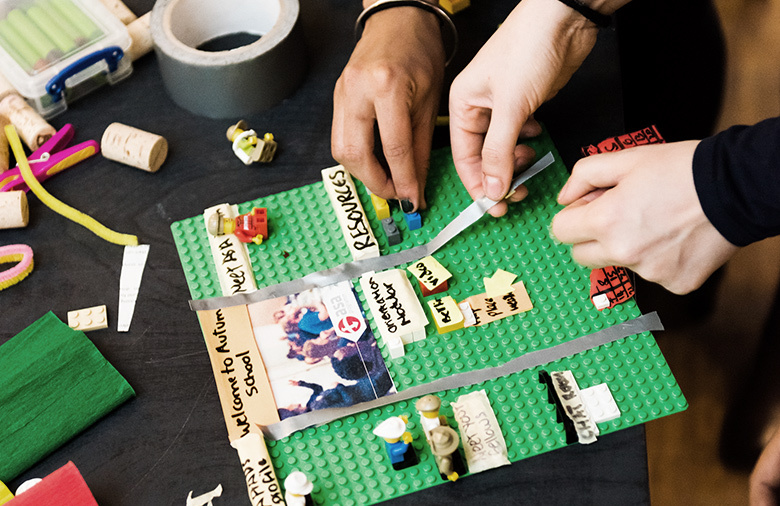 Put the passionate founders of these and several further social and eco-inclusive initiatives together for a week, and you are bound to have a time full of excitement, inspiring ideas, hands-on problem solving, and a lot of fun! 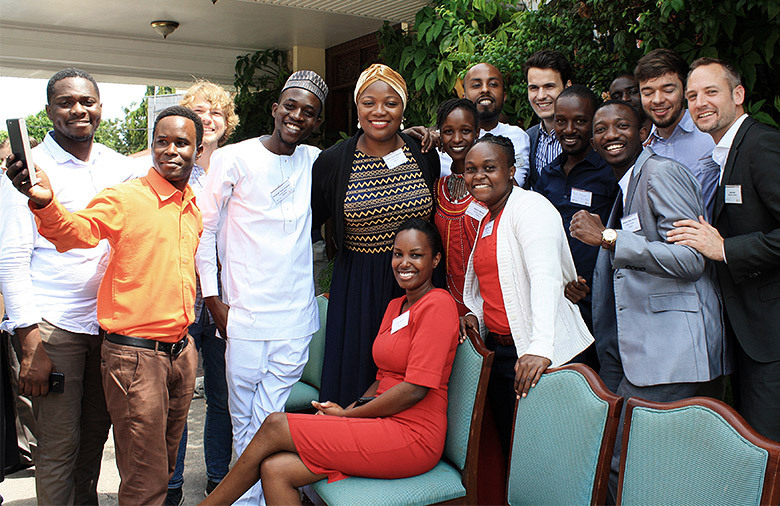 For the Autumn School for Sustainable Entrepreneurship 2017 we selected 22 young entrepreneurs with innovative initiatives, focusing on climate change mitigation and adaptation, with the aim of strengthening, showcasing and connecting young African and German change makers in this area. 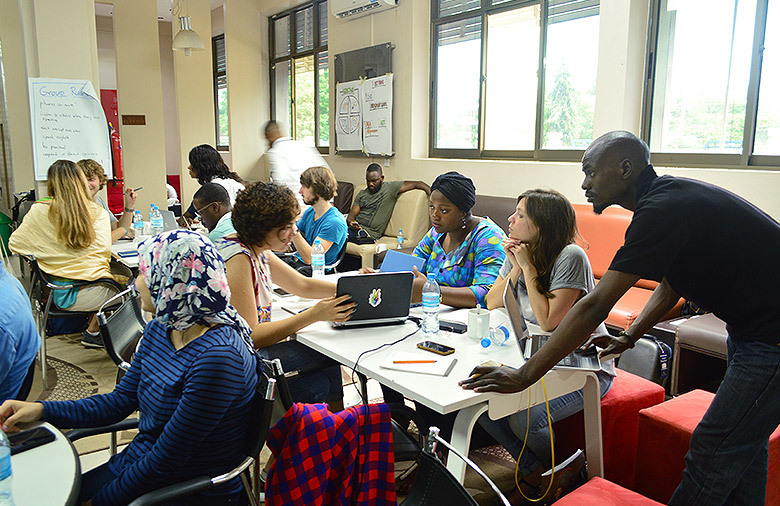 The format took place on African soil for the first time – in Dar es Salaam’s Buni Hub from 24 to 28 October, and was preceded by a unique online mentorship in close partnership with Ashoka East Africa and its top-notch Ashoka Fellows. 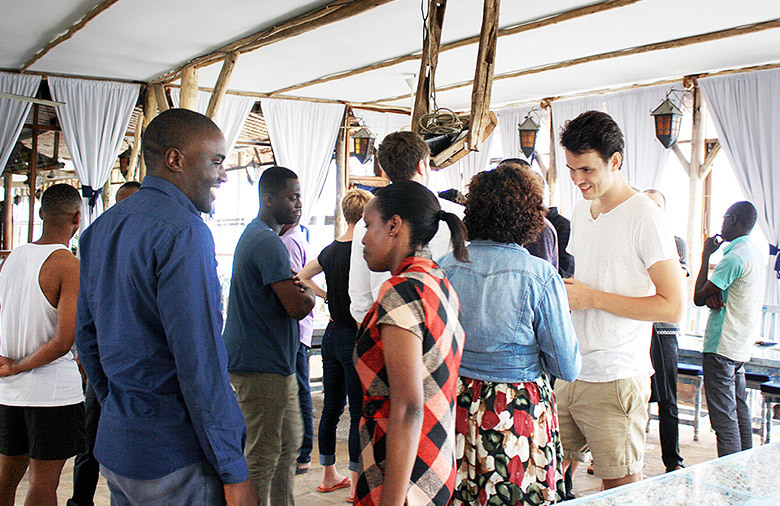 During the event itself, participants had the chance not only to discuss and improve their business models, but to gain a substantial understanding of each others challenges as social entrepreneurs in differing contexts, and jointly come up with solutions to tackle the day-to-day hurdles of social entrepreneurship. 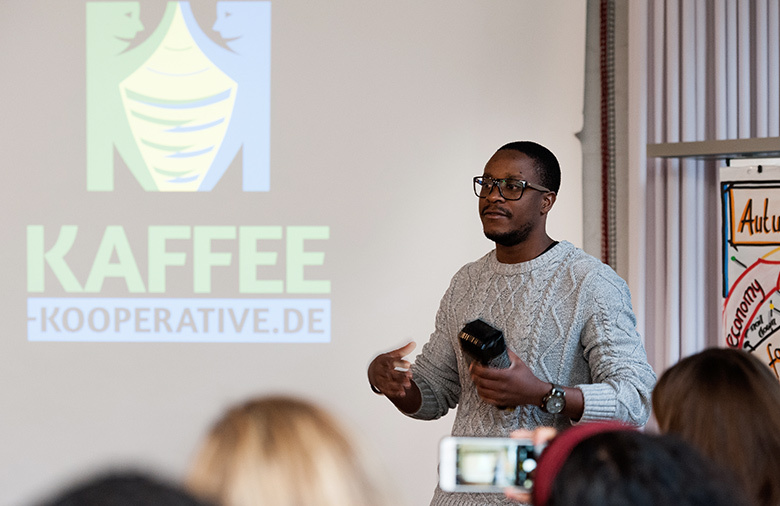 From the 14th to the 19th of November, 27 young Social Entrepreneurs from Germany and different African countries came together in Berlin to exchange their experiences and ideas. 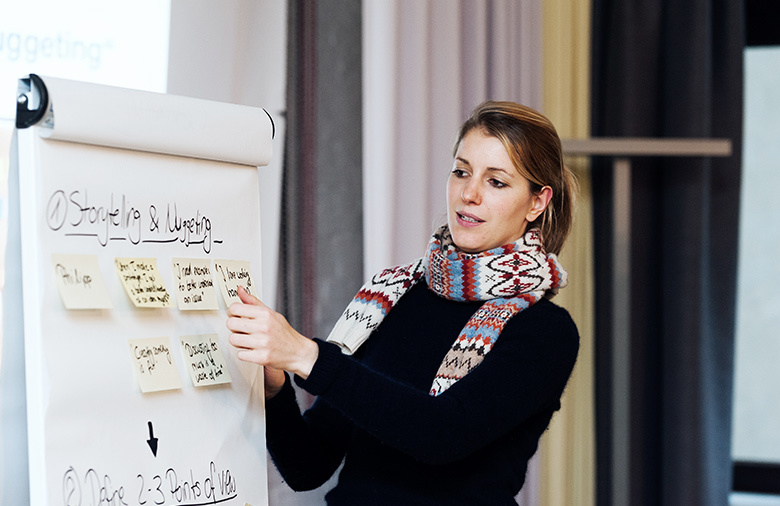 The schedule of the Autumn School 2016 included inspiring expert inputs and workshops with topics such as storytelling, fundraising, creating and monitoring sustainable supply chains and design thinking. 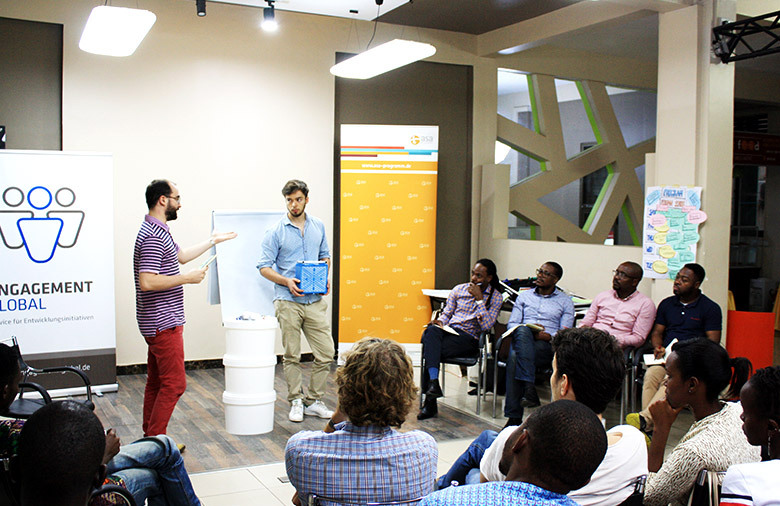 Furthermore, the presentation of best-practice cases and visits of social start-ups were included. 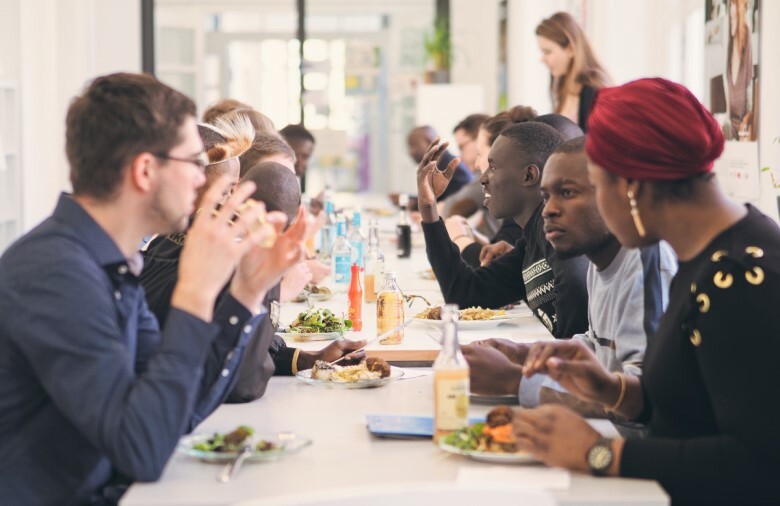 The participants had the opportunity to individually meet successful African and German sustainable entrepreneurs and to discuss different approaches to sustainable business in peer-to-peer sessions. 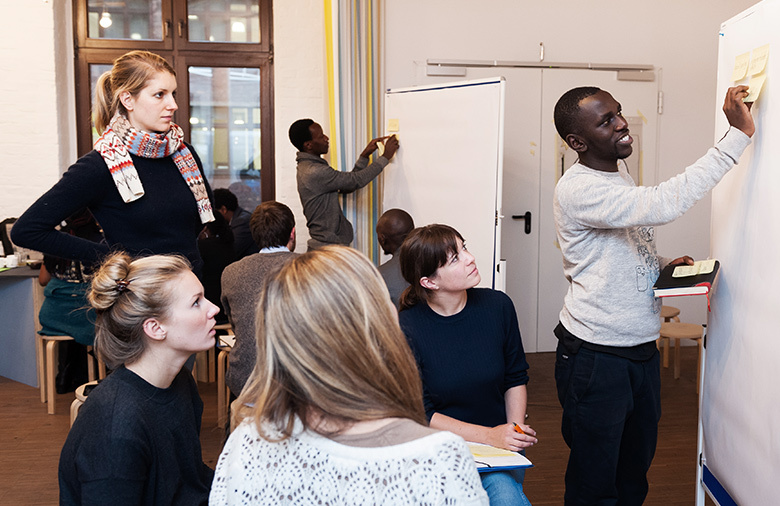 The Autumn School for Sustainable Entrepreneurship is a program for young change makers from African countries and Germany. 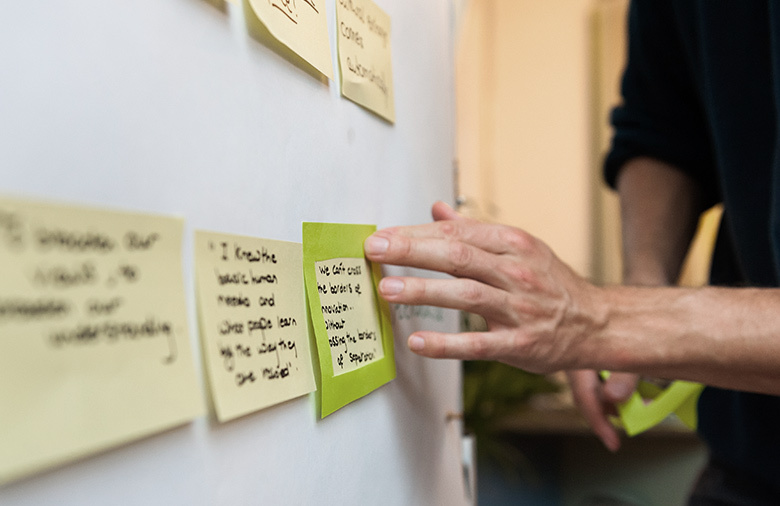 Learn more about this one-week-program, its contents and opinions of participants in 2016. 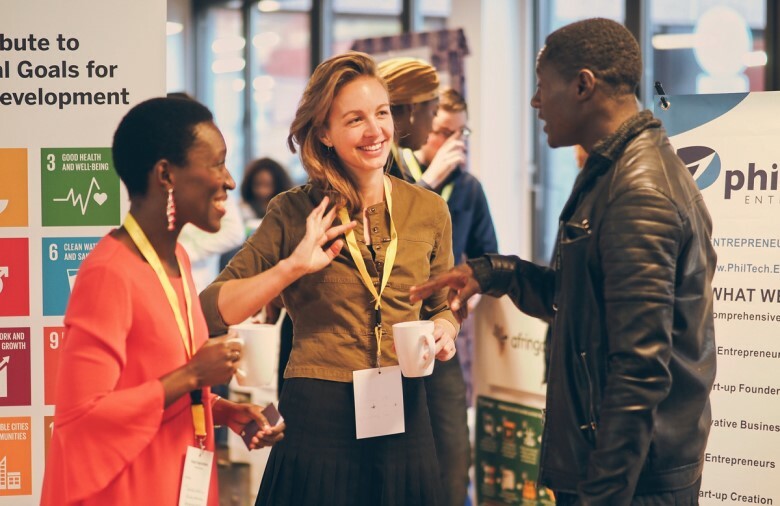 One of the highlights of the Autumn School was ASA Kaleidoskop, the annual dialog and networking event on sustainable business. 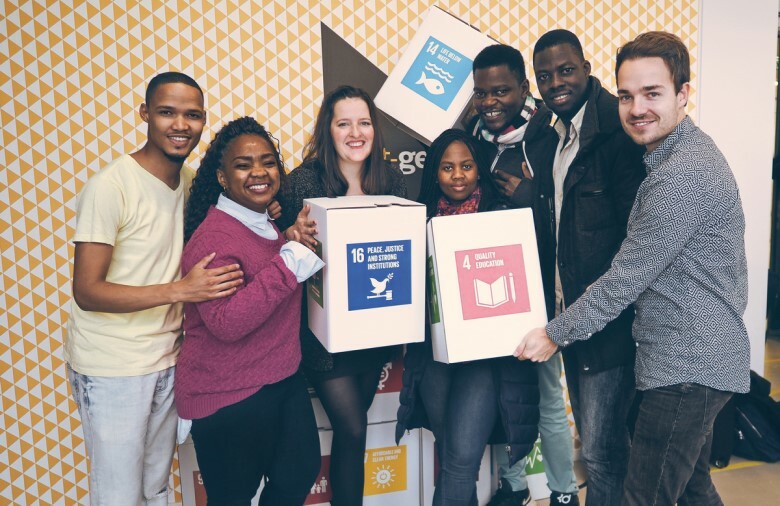 All participants were unified by their will to actively contribute to a socially and ecologically fairer global development with their own business ideas. 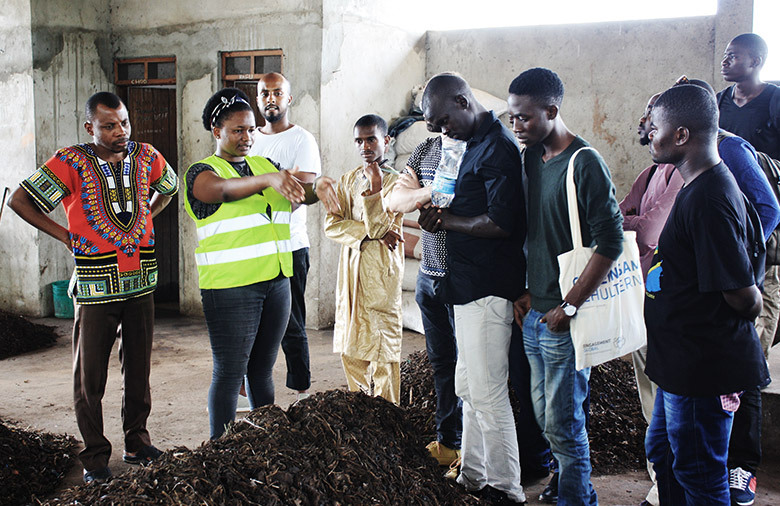 Nombuso, who strives to encourage more recycling and waste separation in her hometown Pretoria by offering awareness trainings in schools and households, was one of the participants. 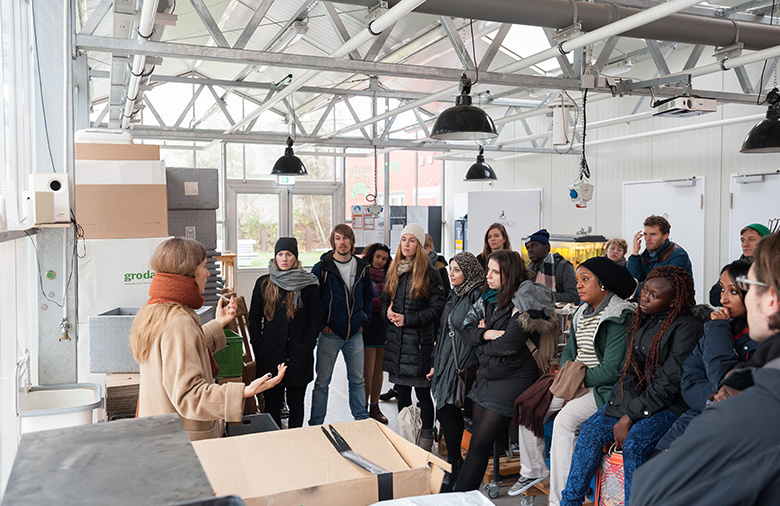 Irina from Kiel offers “Open Wooden Workshops”, where people are taught to repair, recycle or build new furniture and to handle natural resources responsibly. 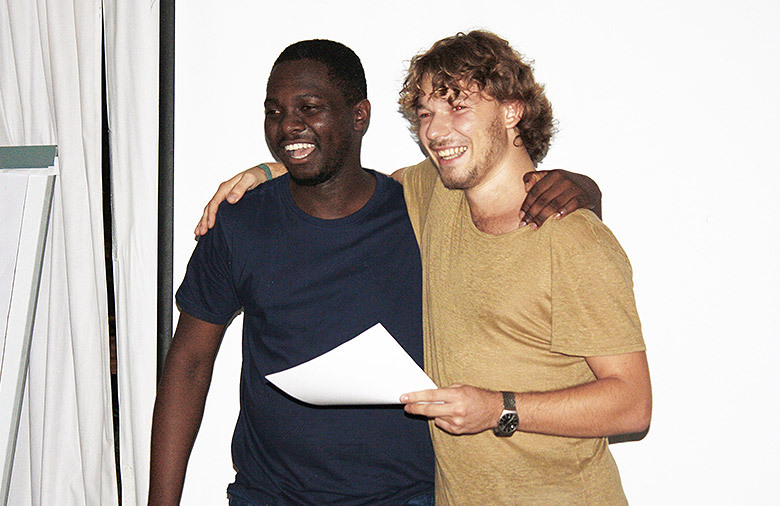 Bernhard developed affordable, solar-powered bicycles to ease working conditions for people in rural areas of Namibia. In rural areas of Kenya, young girls are often absent from school during their menstrual period. 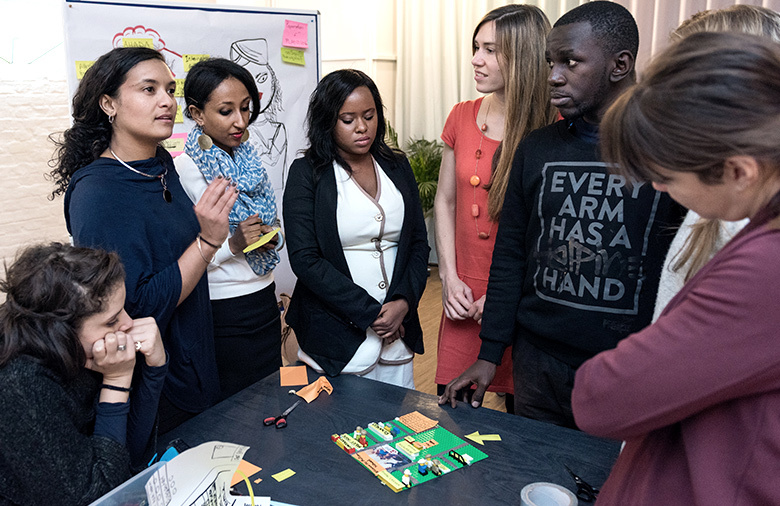 Catherine aims to tackle this problem through the production of reusable and affordable sanitary pads. 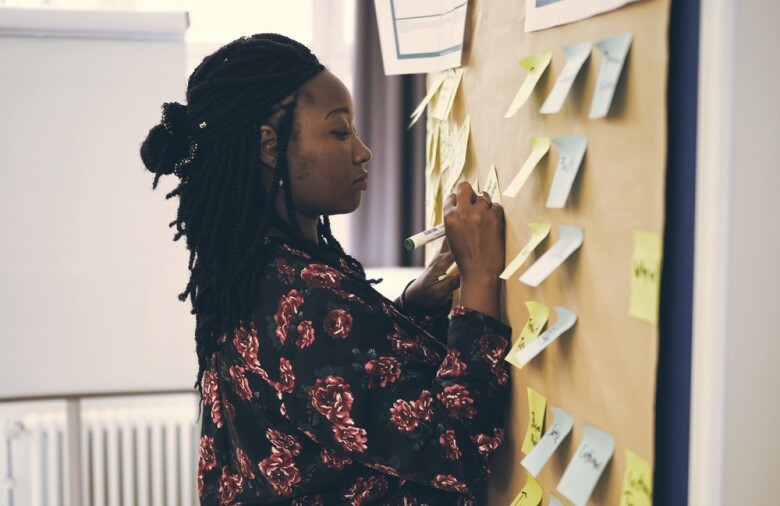 Together with the other Autumn School Participants, Nombuso, Irina, Bernhard and Catherine gained important impulses for their projects and reflected together how they could contribute their part to a more sustainable way of living in their particular countries. 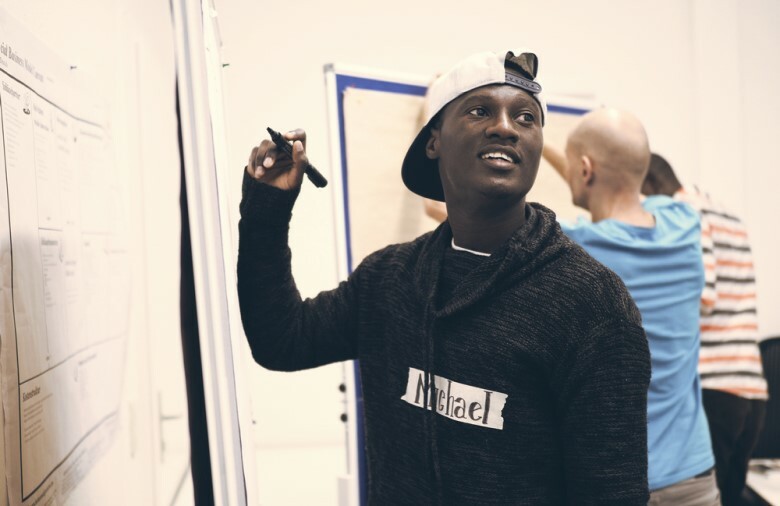 "Inspiring people, interesting workshops, nice atmosphere - a wonderful experience" Prosper Awuni, an ASA Autumn School participant, commented on the program. 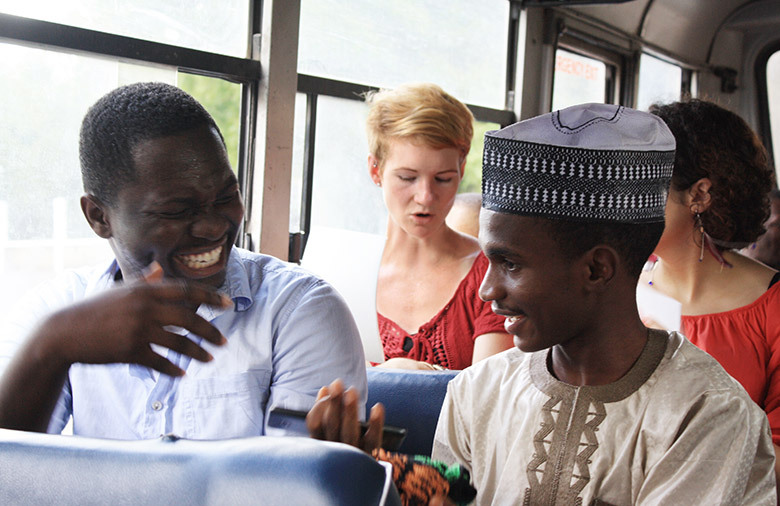 One highlight concluding the program was the participation at the ASA-Kaleidoskop, where the Autumn School participants could exchange experiences and ideas with a larger audience of stakeholders from politics, economies or business from all over the world. Also, they were given the opportunity to present the results of their group works from the Autumn School. 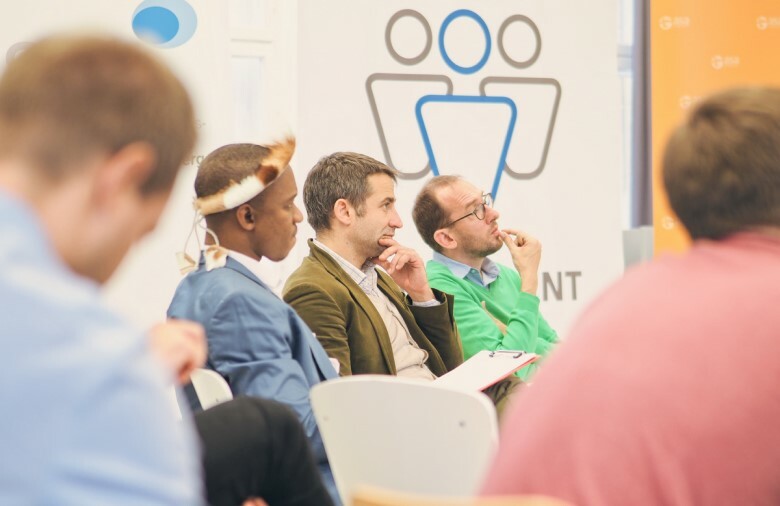 The Kaleidoskop is the annually held ASA - networking conference with topics regarding sustainable economies and business. 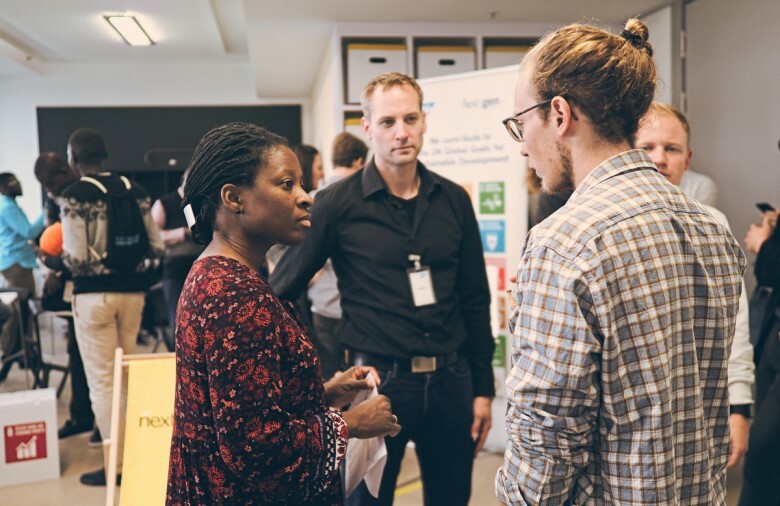 In 2016, it took place at the ecological farm and venue “Domäne Dahlem” focusing on the Sustainable Development Goals (SDGs) of the United Nations.